Welcome to our used equipment pages. Here you will find currently available pre-owned and ex-demo machines from Menzi Muck, Konrad Forsttechnik, Rototilt, Engcon and other manufacturers. We have machines and attachments to suit all applications and budgets - so if you can't see what you are looking for please feel free to contact us and we will do our best to help you. From buckets and hitches to drilling rigs and tree shears, from walking excavators to forestry skylines, you can find it all here. Our used stock is constantly changing so please keep checking back for the latest deals and available equipment. If you are unsure of specifications or need further information just give us a call or drop us an email and we will be happy to assist you. - 'Version F' machine - one of the best! - 'Powerline' high-flow auxiliary pump - run those large attachments with ease! Full overhaul in our workshops with much extra spec added, this is like a new unit! - Fantastic UK machine backed by the official UK Menzi Muck dealer from new. Ready to go and can be seen working. This is a great machine in very genuine condition and ready to earn! 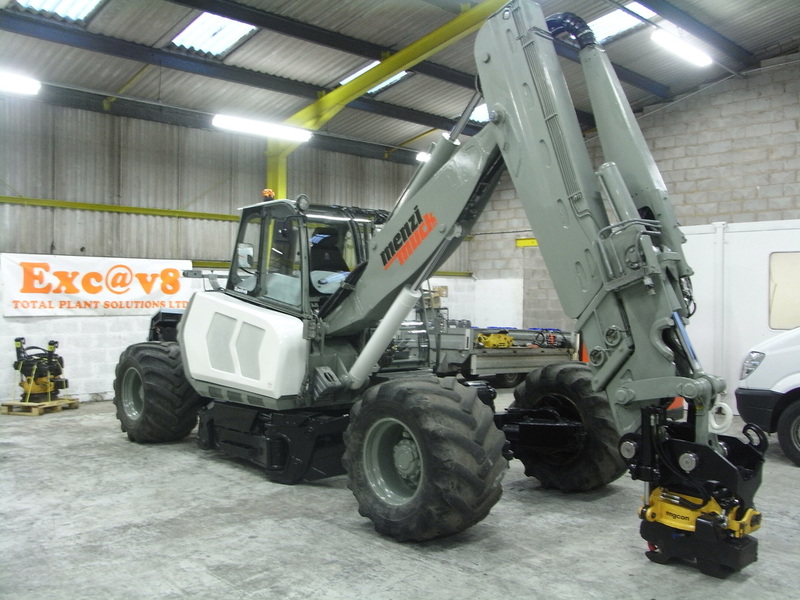 Recent overhaul in our official Menzi Muck dealer facility, serviced and maintained by Menzi Muck technicians from new. Good reliable high-spec machine. Drives well and is a prime example of a cheap workhorse. Suit first time buyer or as second machine. A great, high-capacity machine with huge flow and power, ideal for mulching, harvesting, shearing or digging. Excellent condition for age. - Engcon prepared - just connect your tiltrotator and go! - Engcon ready through Menzi Control - just plug your tiltrotator in and go! - A fantastic example of a great condition used machine ready to go straight to work. Full overhaul in our workshops with much extra spec added, this is like a new unit! Available with three genuine Menzi Muck buckets.